This fallacious question has built a bridge between many people with scalp problems and the help they really need. 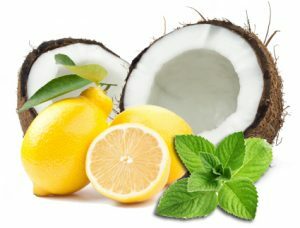 Their question has a simple answer that can be applied to many different areas of health products: natural ingredients. First of all, the question is based on the premise that leading brand hair care products work less than ones with natural ingredients for hair conditioner or shampoo. 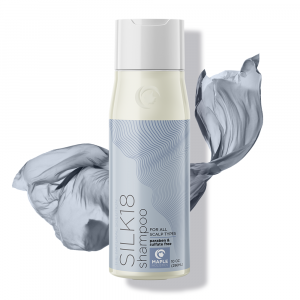 Not all leading shampoo brands are ineffective, rather a majority of the popular and inexpensive ones are the ones to worry about. For example, commercial anti-dandruff shampoos claim to work for all head types – which is virtually impossible for the reason that if it were to contain all the different actives for all the different hair types, they would work against each other. This calls for practically any shampoo claiming to provide full benefits for a general clientele. In addition, many leading brand shampoos attract uneducated customers with promises of infused vitamins and using terms they can’t define, but assume must be beneficial because it’s posted on the label. Your scalp isn’t capable of absorbing so many different “infusions” at once, and more often than necessary do people pay the extra dollar for meaningless terminologies. 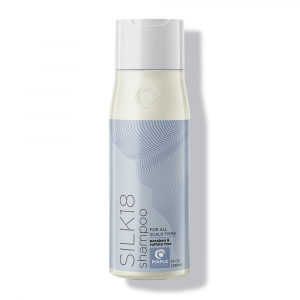 If you’re interested in reading more about the differences and effectiveness, check out Facts About Shampoo and How Shampoo Works. Natural ingredients are always ideal. Now that the question has been clearly explained, it’s time for the answer. Obesity is a growing problem in today’s society – Americans spend more than $100 billion on fast food a year, and by consuming unhealthy food, the body becomes unhealthy and all sorts of health risks follow along. What does obesity have to do with shampoo? It’s very clear. Fast food joints are the most accessible, affordable places to pick up a meal. Health food stores and restaurants serving nutritious meals are more expensive than microwavable meals from the grocery store and burger joints. If healthy food is so important, how come health food companies make up only a small percentage of the health industry? If fast food is much more available, how can you challenge it? The truth of the matter is, people don’t put in the necessary effort to research what they need, so they trust brand names who mass produce unhelpful products with low price tags. Synthetic fragrances and chemicals are much cheaper to produce than those with higher quality, genuine ingredients. People know they need shampoo, so many of them turn to these brands and pay less for something that most likely will do nothing more than provide you with suds in the shower. Successful, healthy shampoos which are authentic and effective contain more expensive ingredients, just like healthy food is more costly, so corporate retailers hardly stock them because the kind of customers they attract are looking for a bargain rather then what they need. Fast food chains are the leading ‘brands’ of food. Commercial cosmetics are the leading ‘brands’ of the cosmetic industry. That’s the nature of more than just the food and cosmetic industries. Those who consciously care about their health and appearance search for a way to preserve their health rather than preserve their wallets. Let’s face it, the cosmetics industry is a money-making machine. With this comes the fact that clever marketing is the key to consumers hearts and minds. Every brand has their own marketing ploy. They promote various ingredients that are supposed to benefit your hair in extraordinary ways. I want to break through all the clutter of marketing jargon. I want to take a look at three products you should look for in any natural shampoo you use. They all work in various ways to give your hair the clean you desire. Shea Butter is a wonderful ingredient that has many amazing benefits for your skin and scalp. It is a natural anti-inflammatory which is perfect if you have skin issues like eczema. It can help soothe your scalp and relieve the itching. Something that may surprise you is that shea butter can also defend against the sun. It coats your hair and scalp and protects it against the ill-effects of hair straighteners, blow-dryers and other heat producing hair devices. This essential oil is becoming increasingly popular in the cosmetics world. 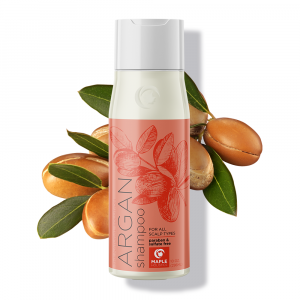 The reason is simple, argan oil is an amazing moisturizer. Many companies are adding the oil to their shampoos. 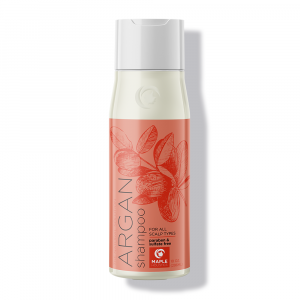 If you have issues with dry and frizzy hair, argan oil can help. It’s rich in moisturizing vitamins and minerals that work with your body’s natural oil to leave your hair hydrated and healthy. If you are going to look for just one ingredient this should be it! Lastly, we have tea tree oil. This essential oil is an effective anti-fungal and antiseptic. How can it benefit your scalp? Dandruff happens to be a bacterial issue. The dead skin accumulates and allows for bacteria to grow on your scalp. This produces the flakes and irritation. 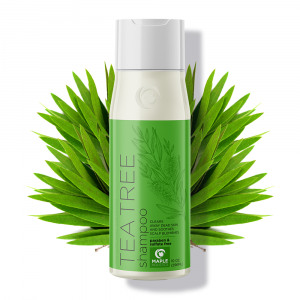 Tea tree shampoo works naturally to clean the scalp virtually eliminating dandruff. 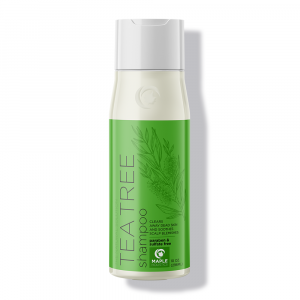 More and more people are reaching for tea tree dandruff shampoo because it is organic and safer than tar based formulas.